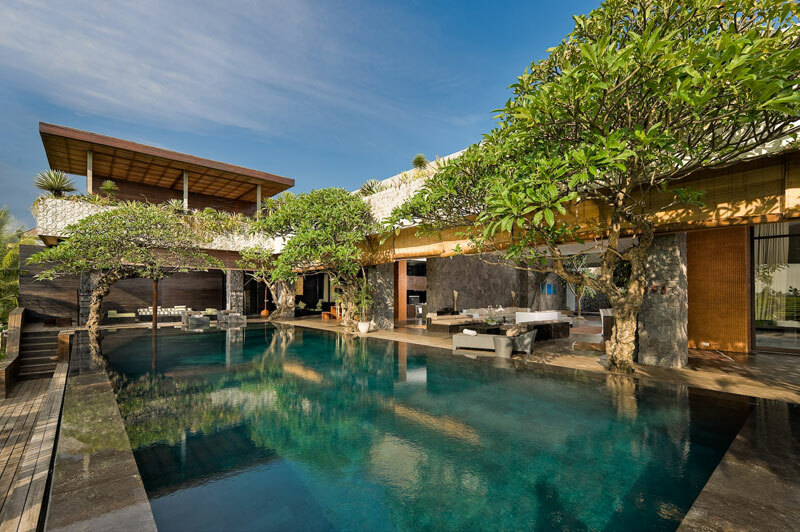 Villa Mana is hidden away in the traditional village of Babakan, just a ten minute drive from the beach at Canggu on Bali’s southwest coast. 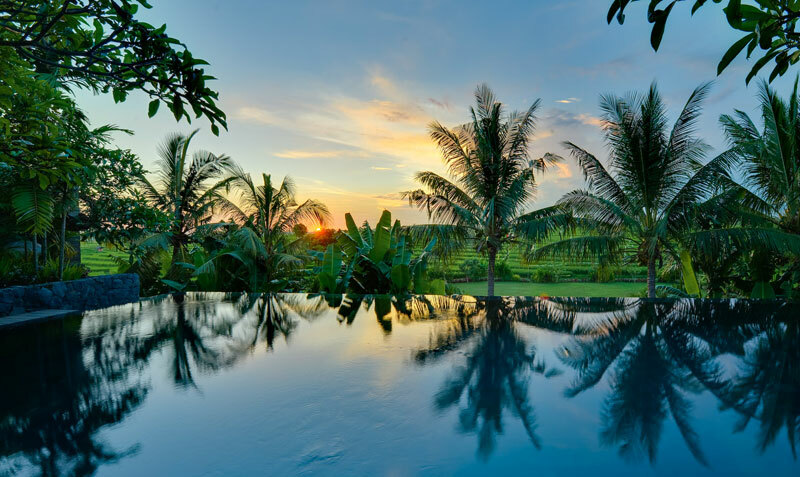 This out of town setting offers the double attraction of being close to everything that guests might need, while also presenting a fascinating insight into the traditions of rural Bali. 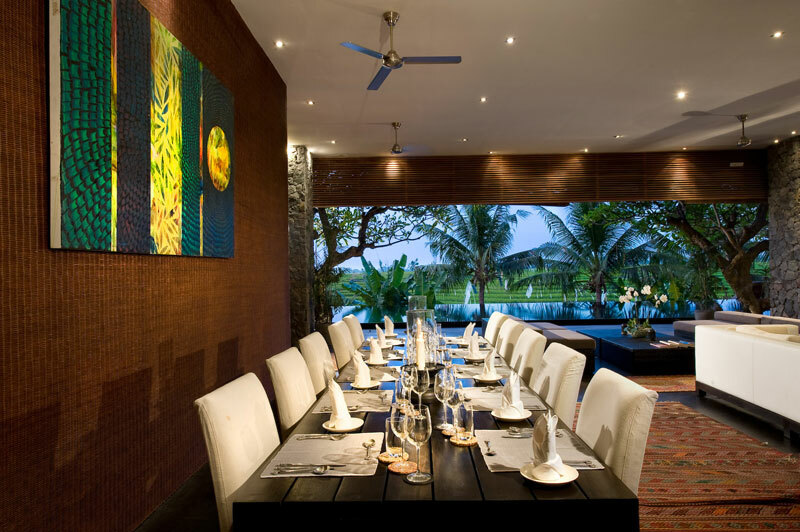 The nearby Echo Beach, with its world-class surf breaks and panoramic coastline views, is the place where the local community gathers in the evenings to watch the legendary sunsets. 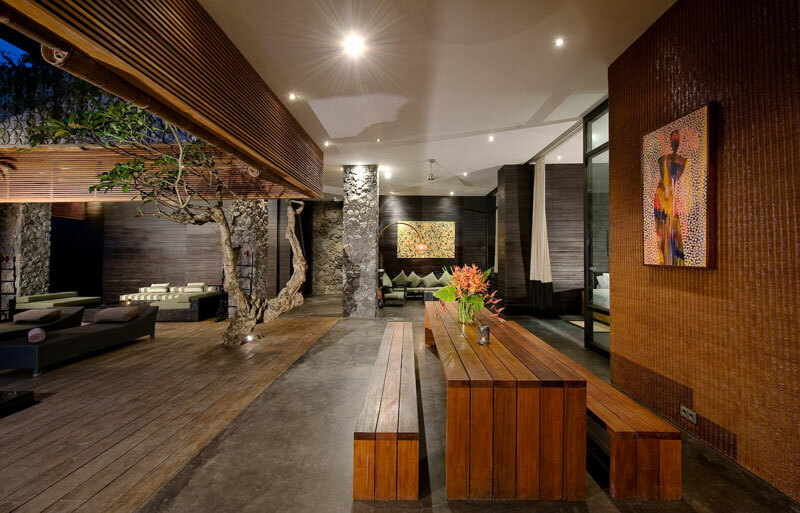 The trendy Seminyak area is just a 25 minute drive from the villa. 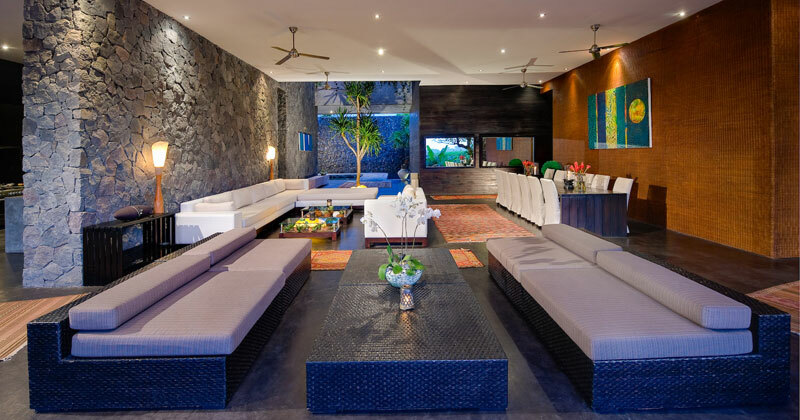 Guests enter Villa Mana via an entrance bridge, which leads into a reception area, open-air living and dining areas and pool deck. 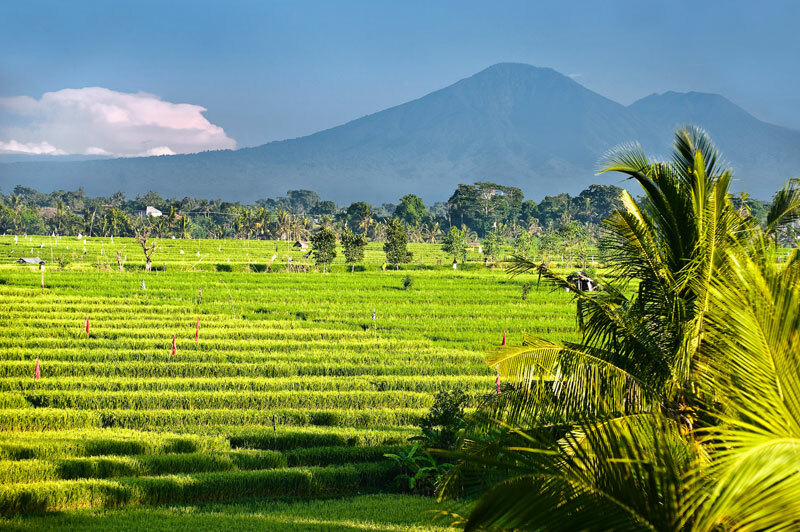 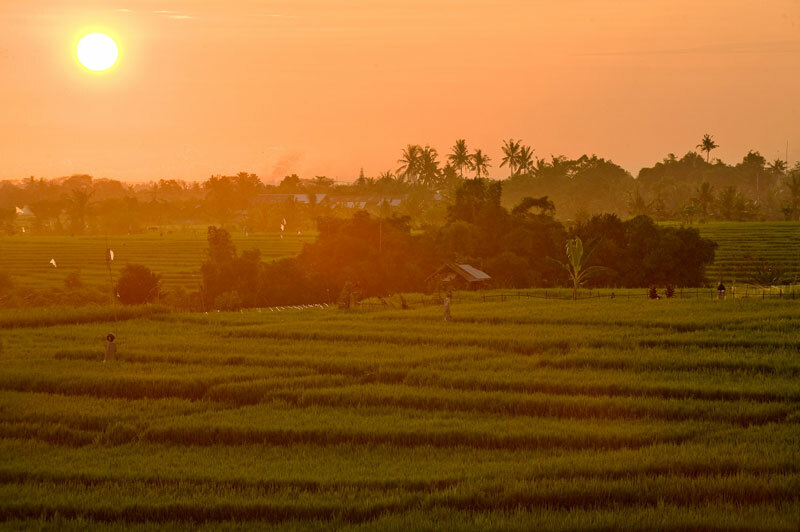 From here, you will gaze upon the amazing view of Bali's famous rice terraces and magical sunsets. 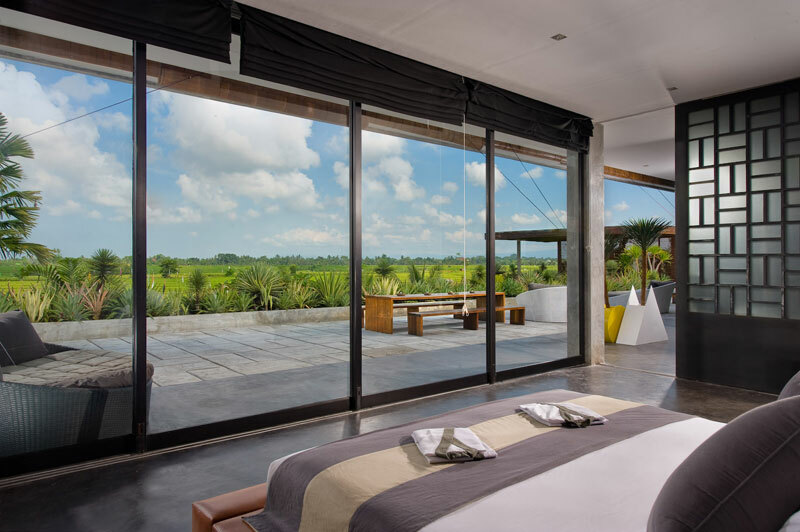 There are four bedrooms located on the ground floor, plus two more master bedrooms positioned on the rooftop level. 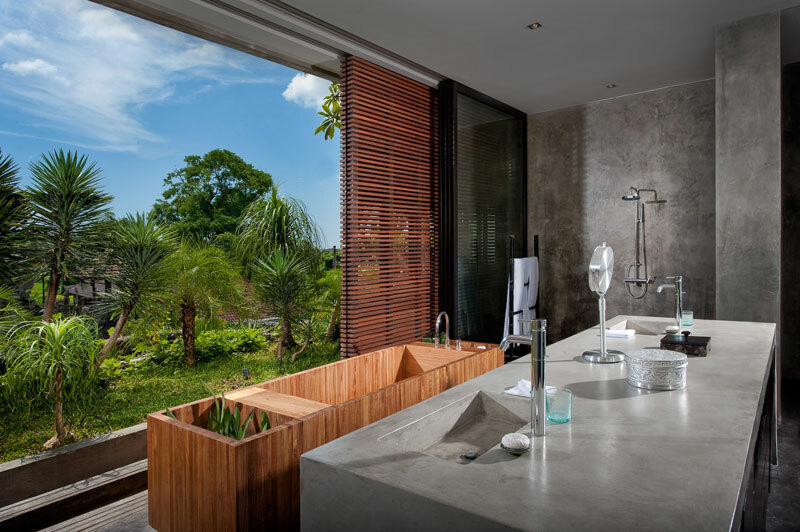 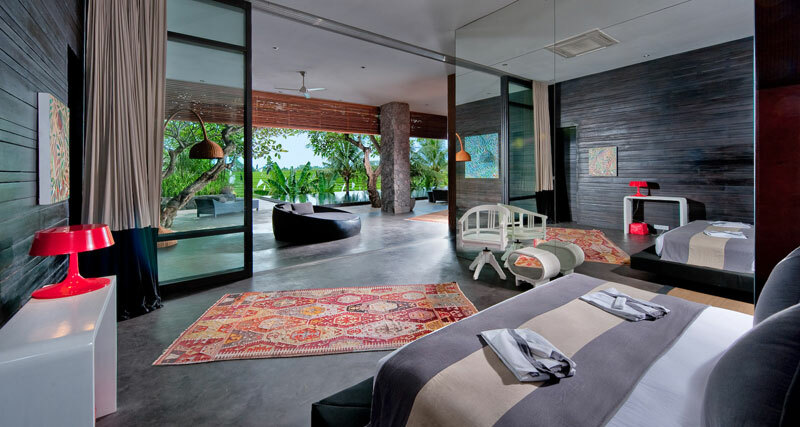 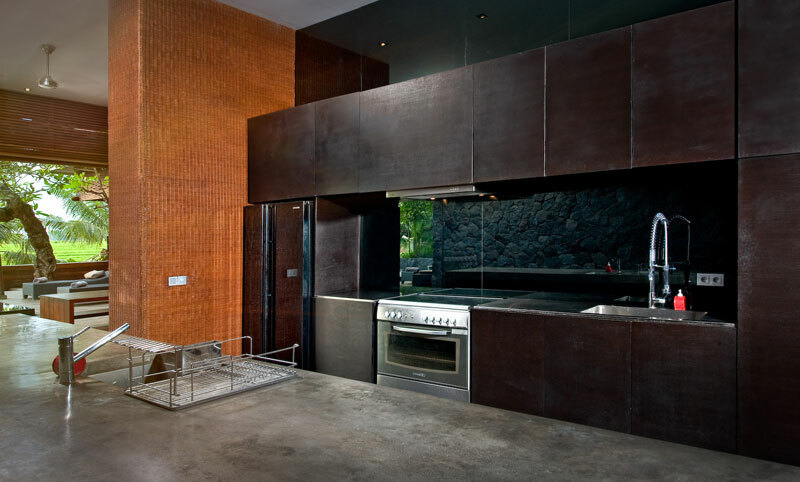 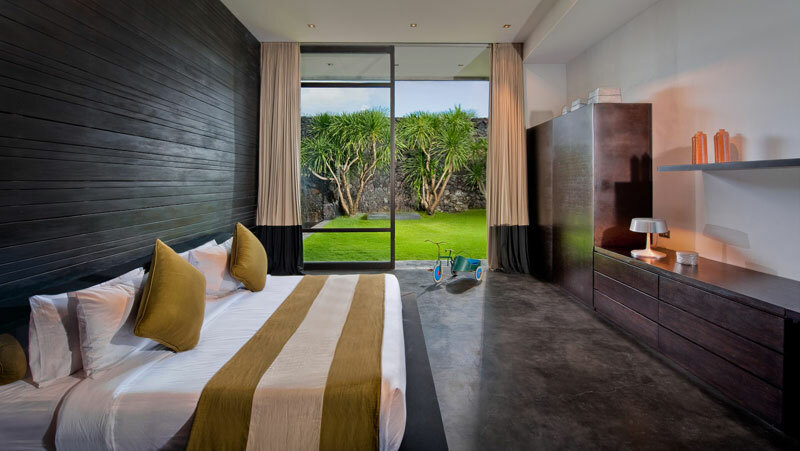 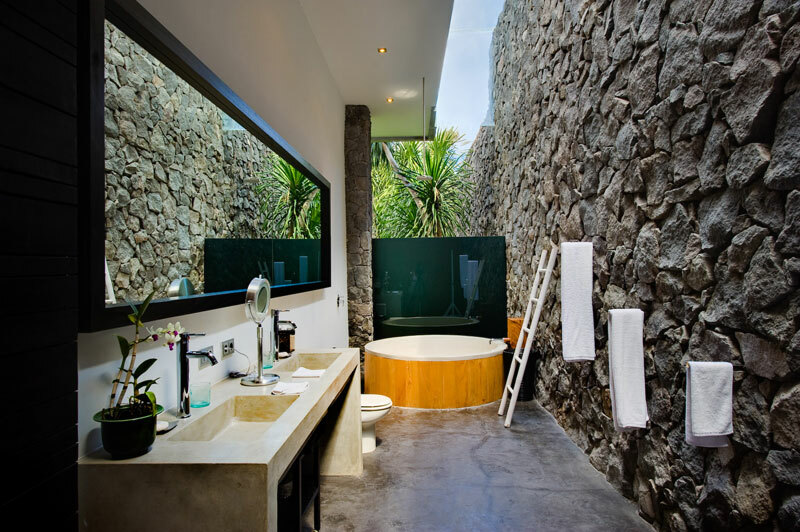 The downstairs master bedroom faces the rice terraces and featuresfloor-to-ceiling glass doors. 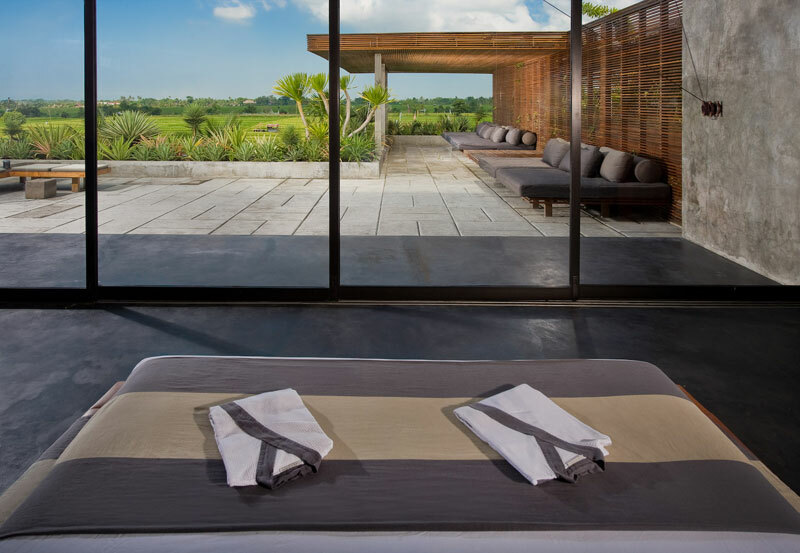 The breezy roof terrace presents an open-air sitting area under a pergola roof. 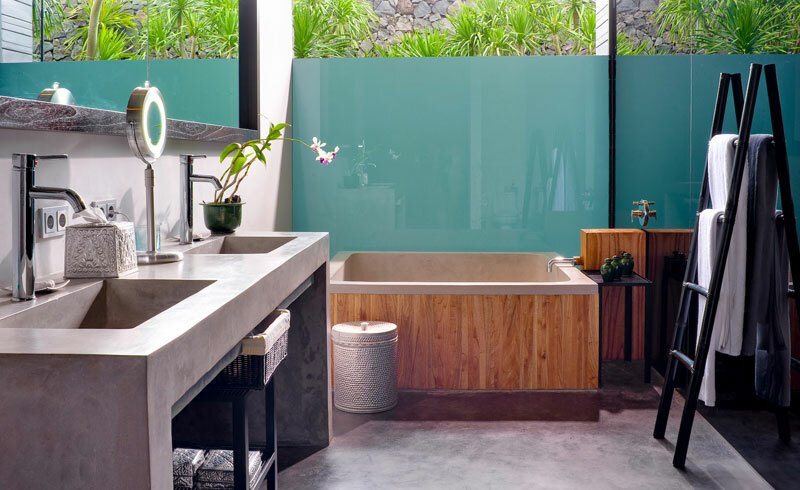 The pool is designed in the style of Japanese onsen baths with four infinity edges. 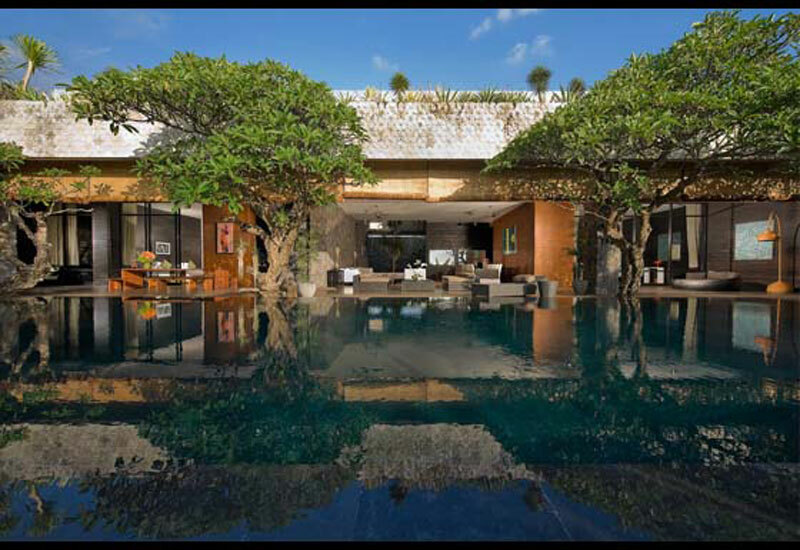 At one end of the pool is a ‘bale’ with covered seating area.